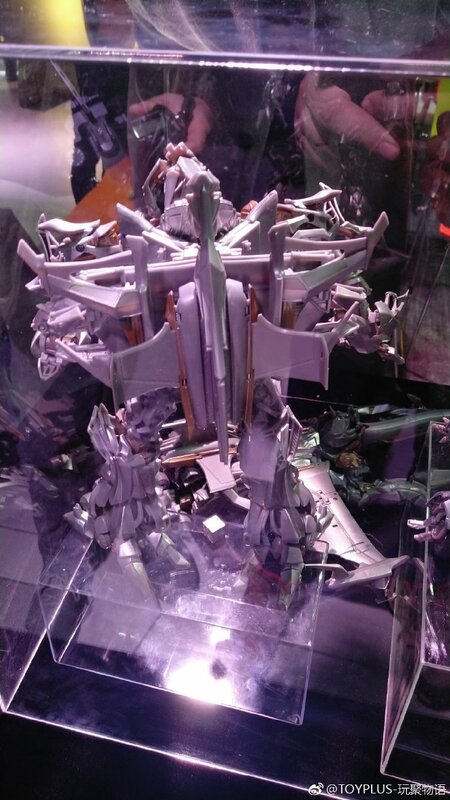 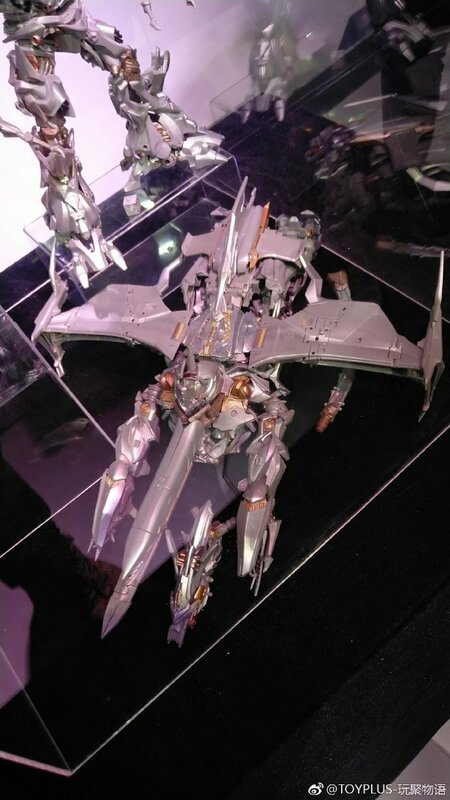 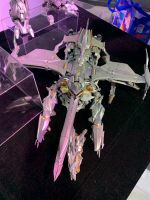 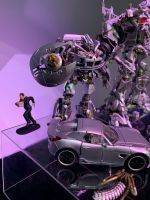 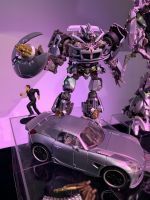 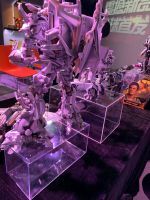 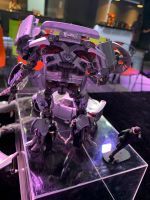 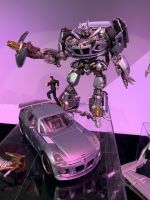 Home » Transformers Movie » Transformers Movie Toys & Products » Movie Masterpiece Megatron and Jazz Revealed! 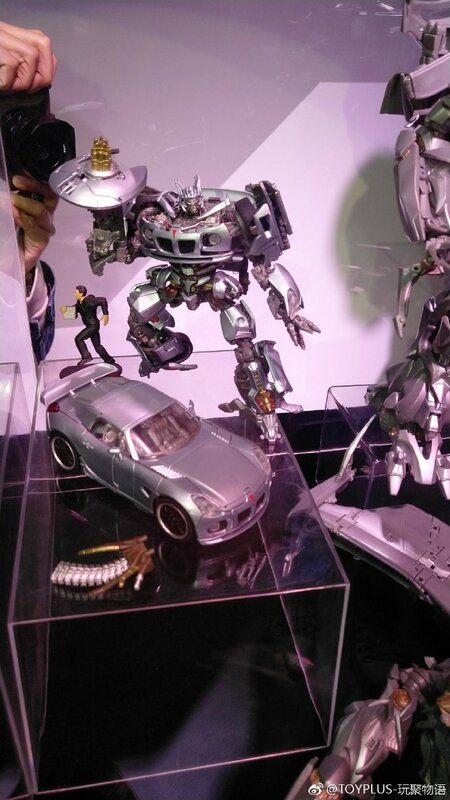 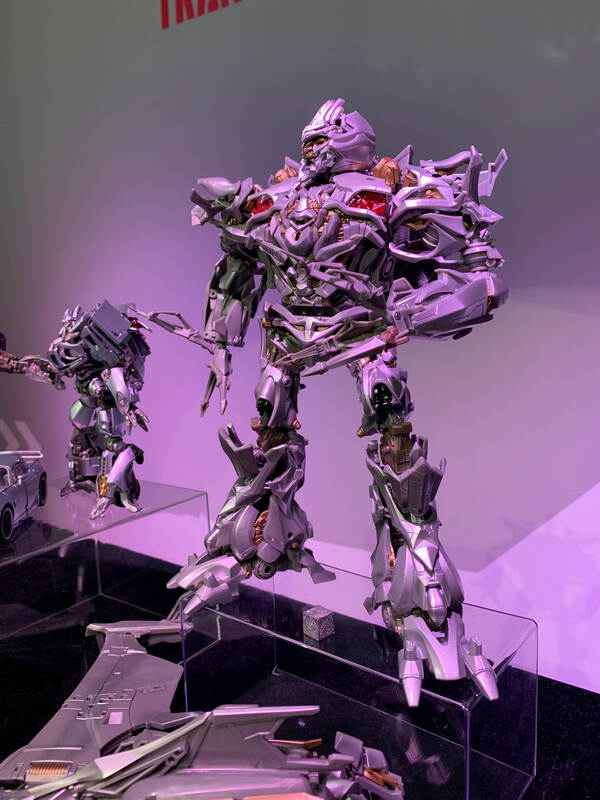 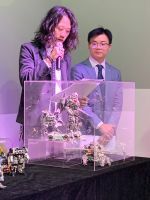 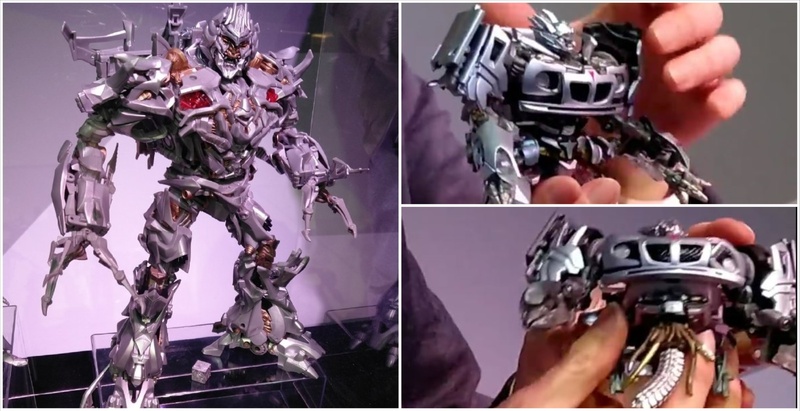 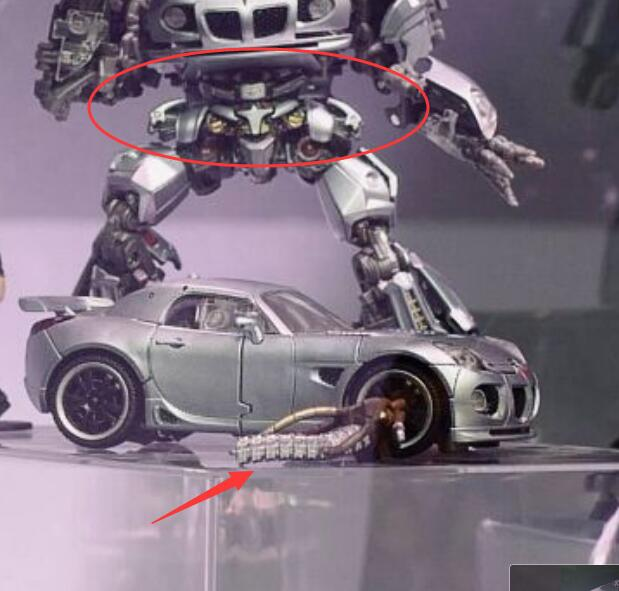 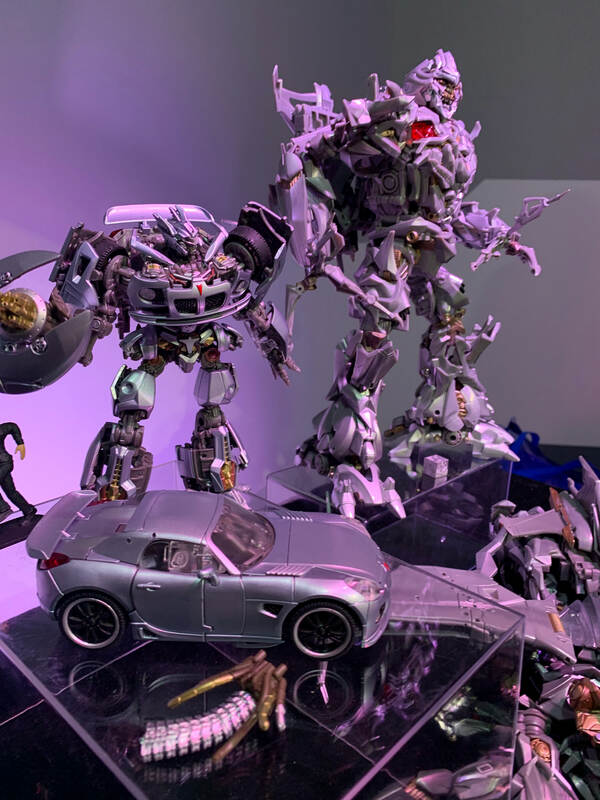 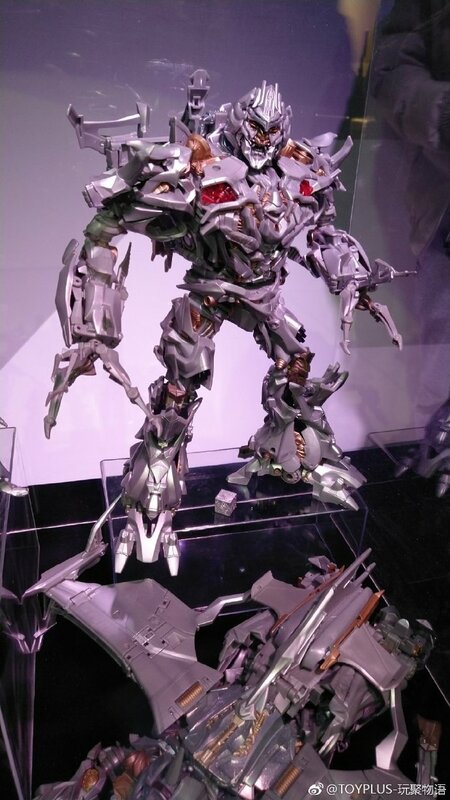 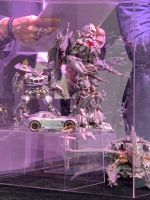 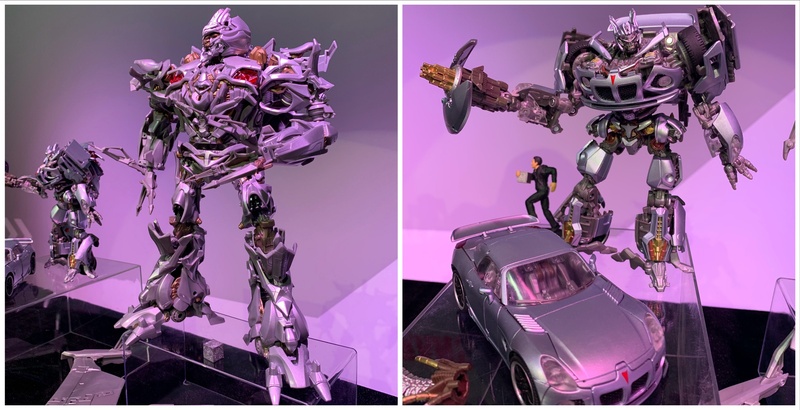 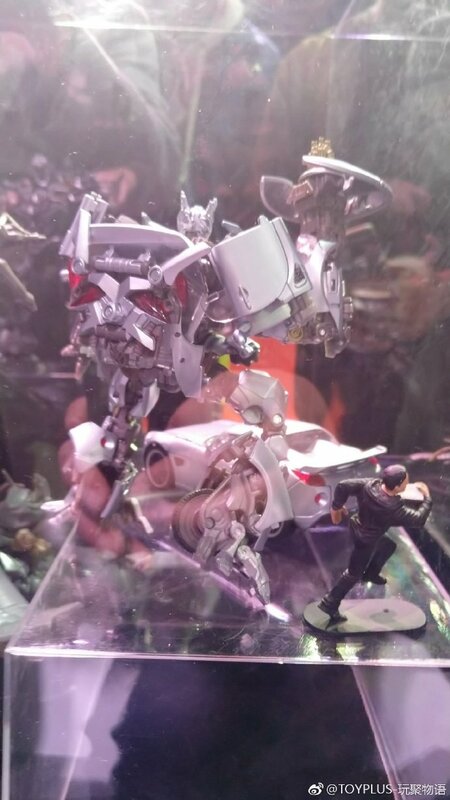 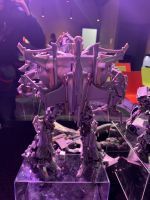 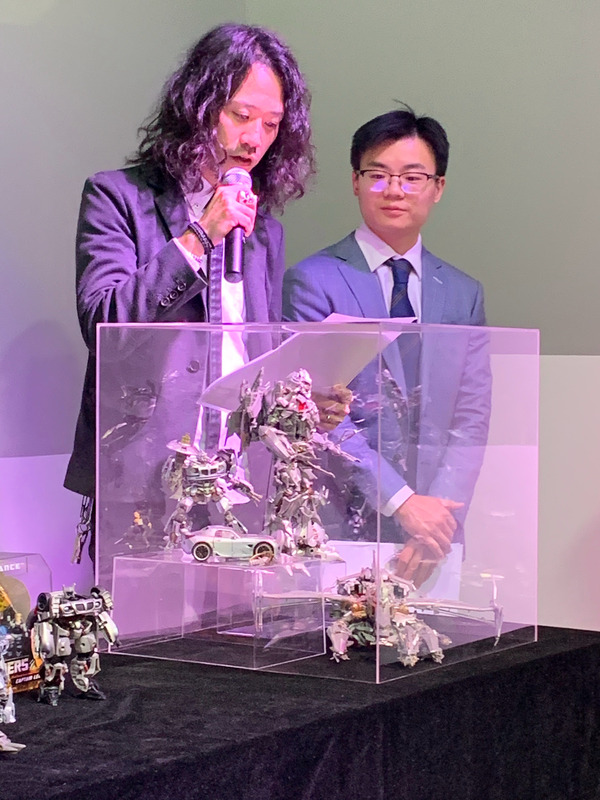 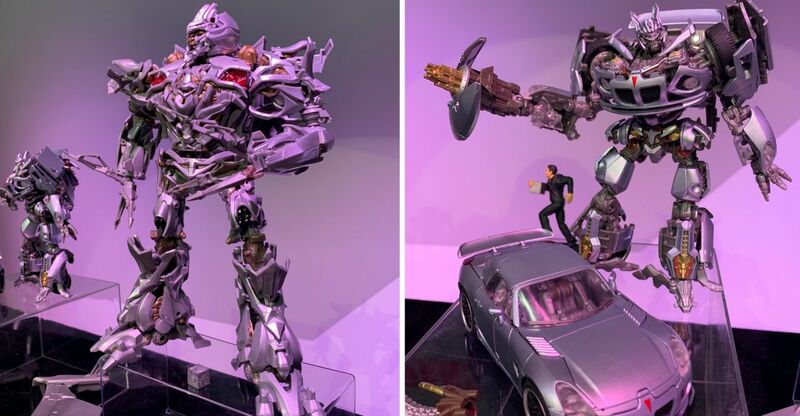 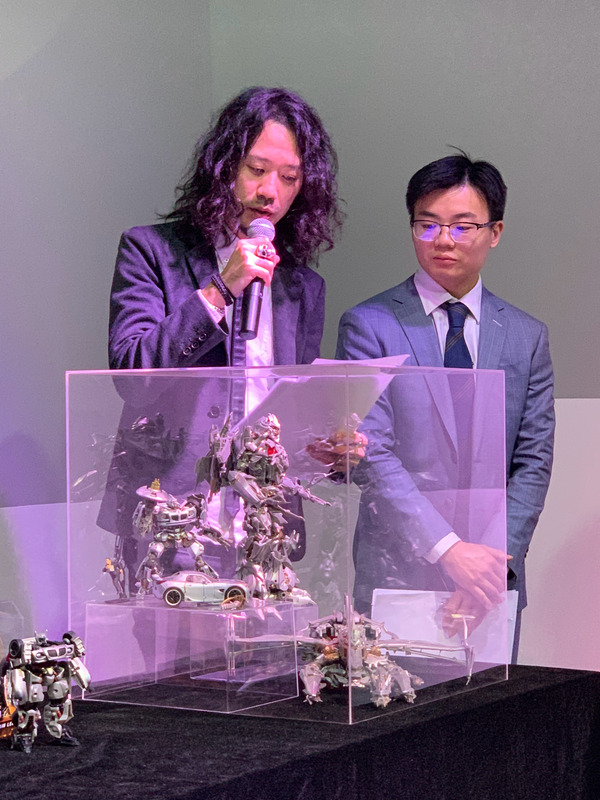 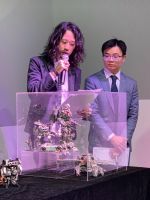 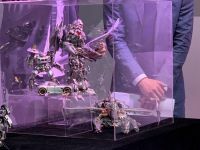 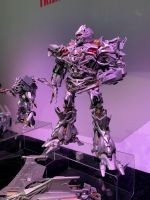 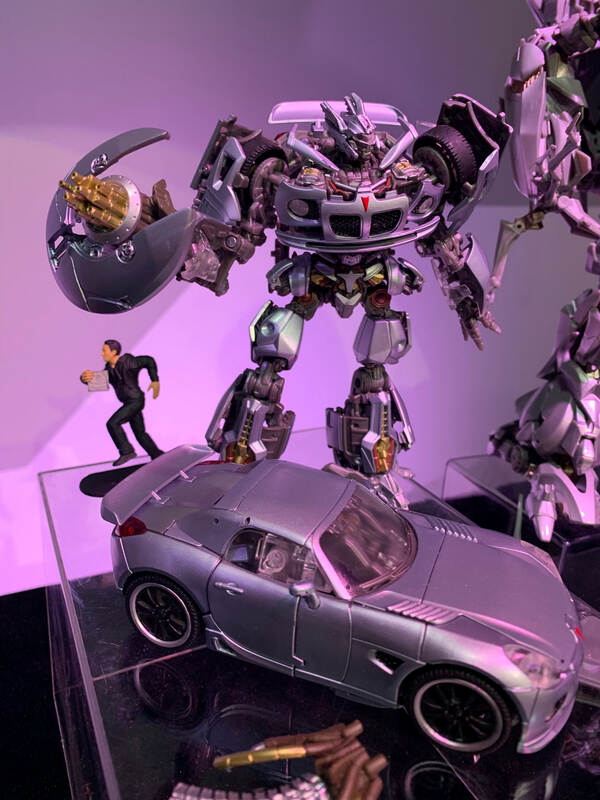 Thanks to Weibo user IAMONFIRE for the first pics from the Hasbro China event we have our first look at Movie Masterpiece Megatron and Jazz. Of Note – Jazz looks to come with a running Sam holding THE CUBE! 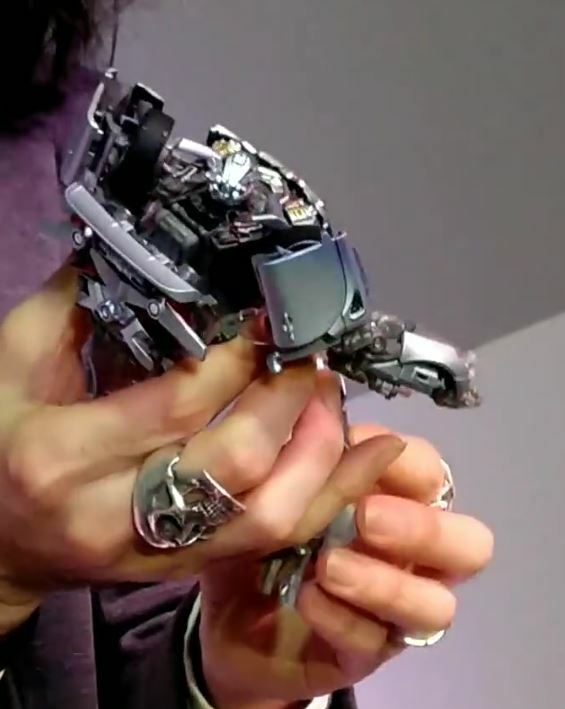 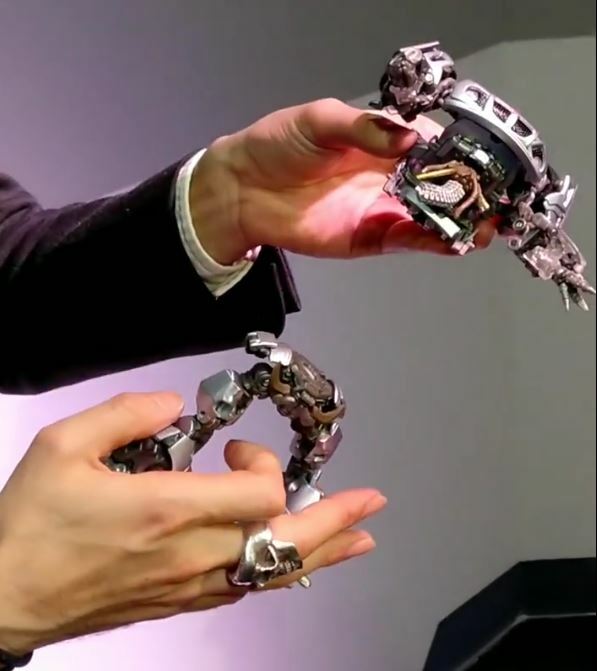 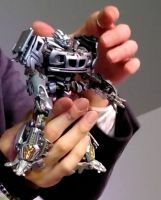 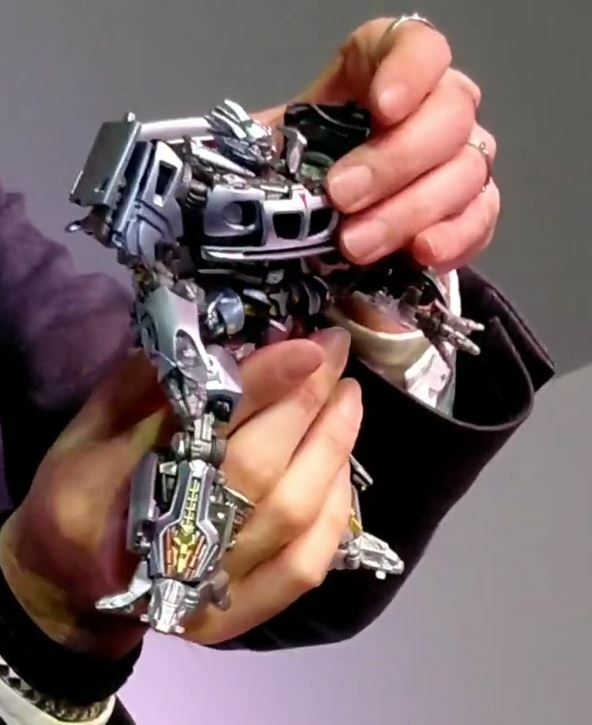 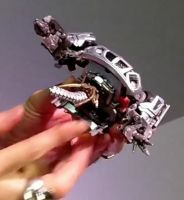 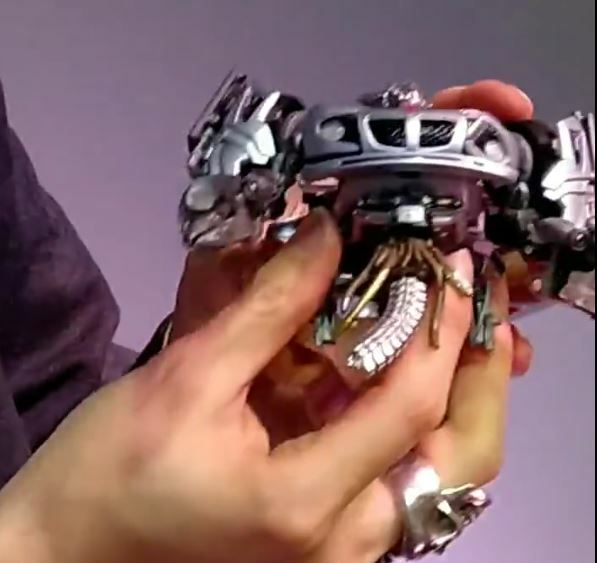 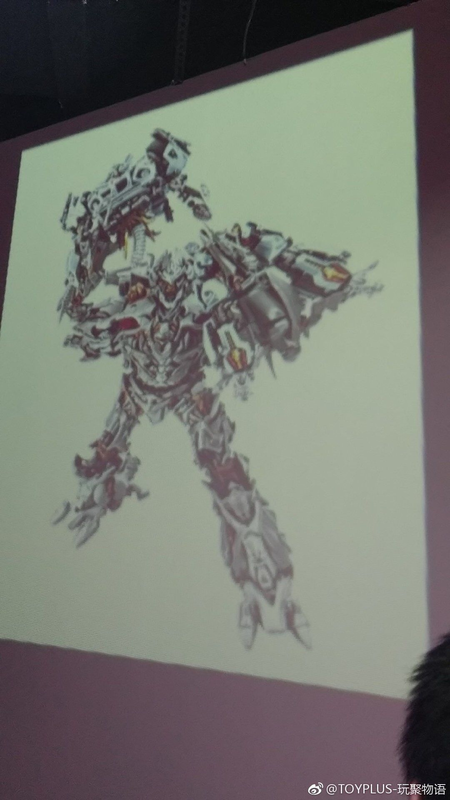 Update: Pic from the presentation at the event showing Jazz split in half and Megatron holding him! 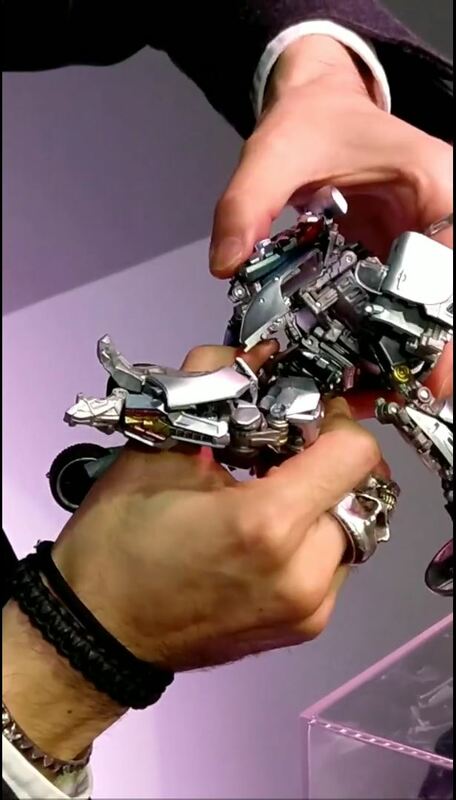 Update: Pics from a live vid showing the Jazz Split! NO! I WANT TWO! Stay tuned for more around the web as things roll in over the next couple hours! 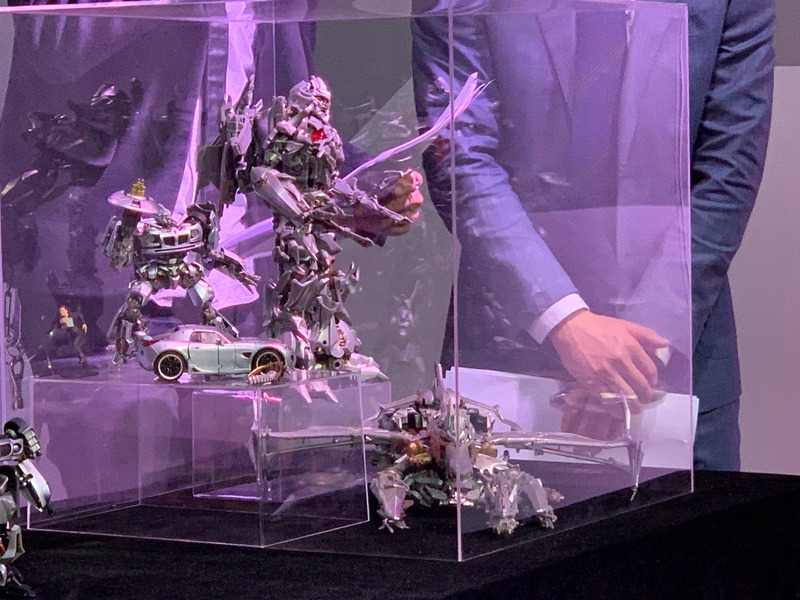 Dude just got out of the freezer. 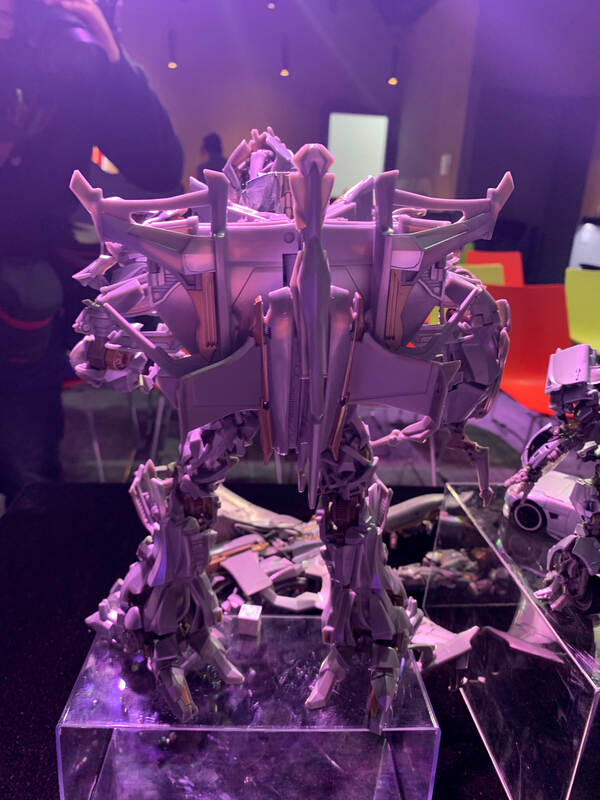 Can't expect him to limber up right away. 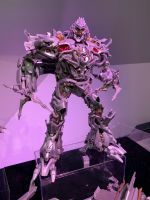 Still can’t get over how huge this guy is. 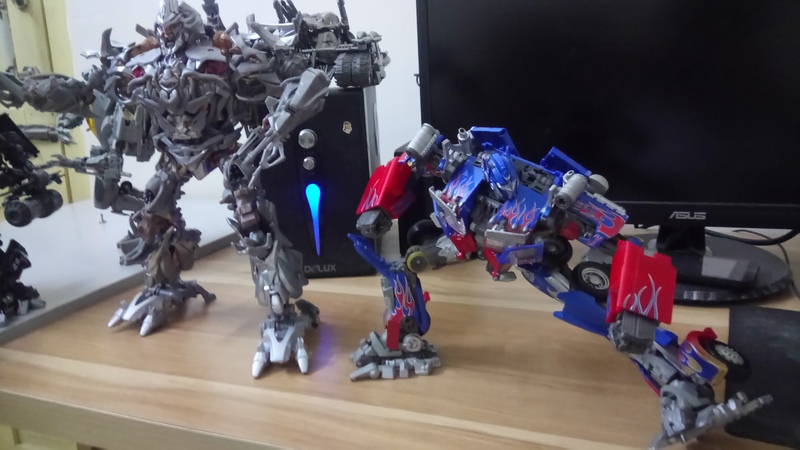 He’s bigger than both MP36 and MP43! 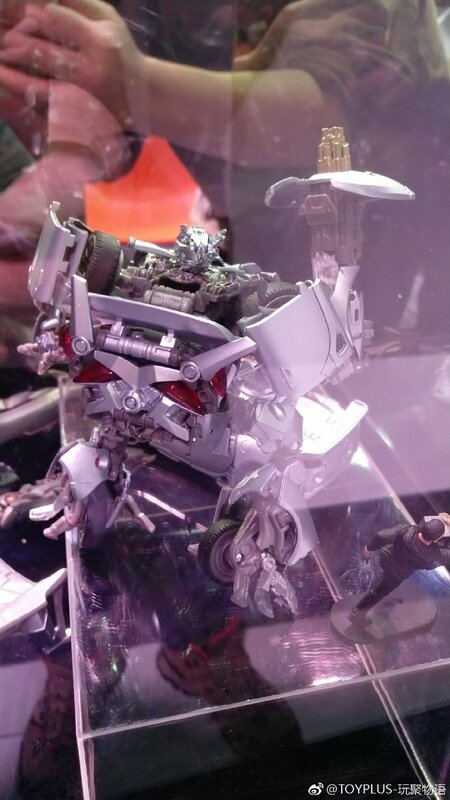 I used to not want ROTF Megs to happen, now I want him so bad . Made a little edit to make him look with the head used in the final act of the movie. Looks cool. but that ain't my thing. 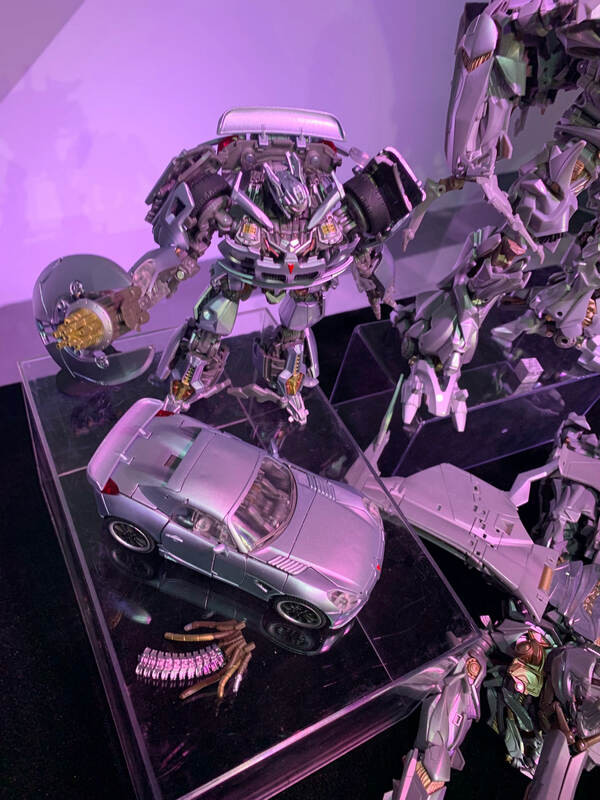 Forget Jazz, I want news about Ratchet to come out now because unlike Starscream, he's still a hunch and that's not a good sign. 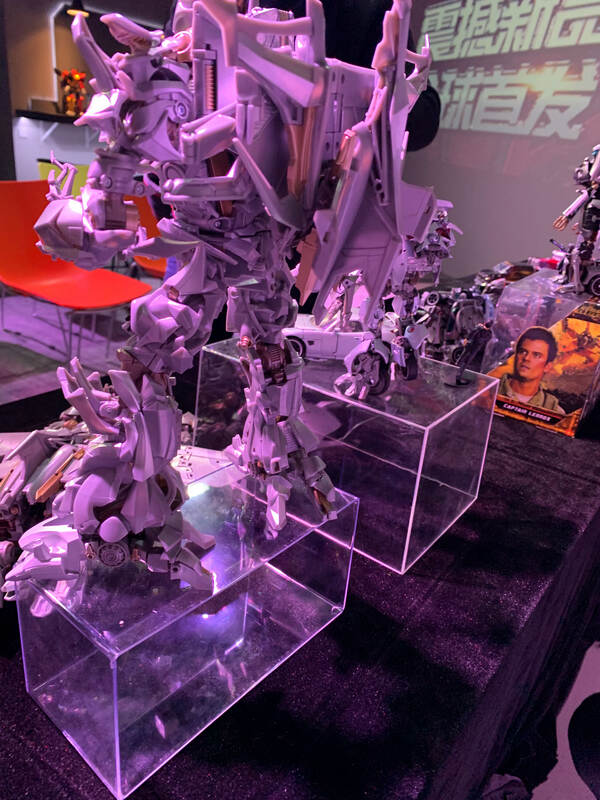 I think there was new pictures of Wei Jiang's squeaks release a few days ago. I meant the thighs. 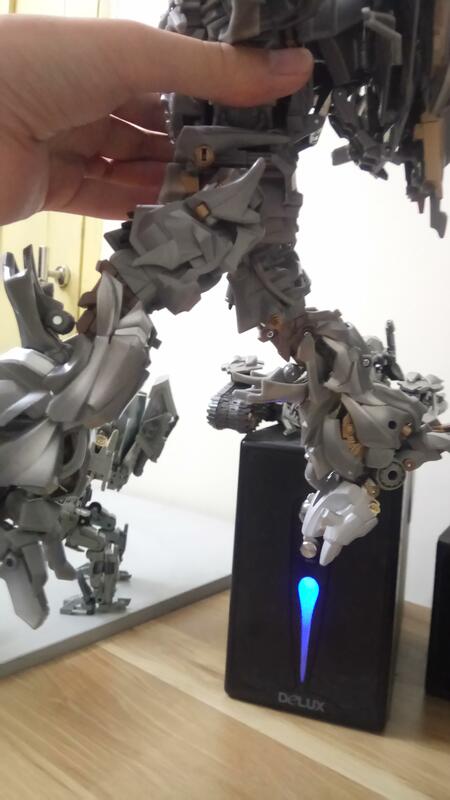 Knee can 90 just fine on my copy. 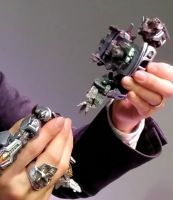 Ah, sorry my bad. 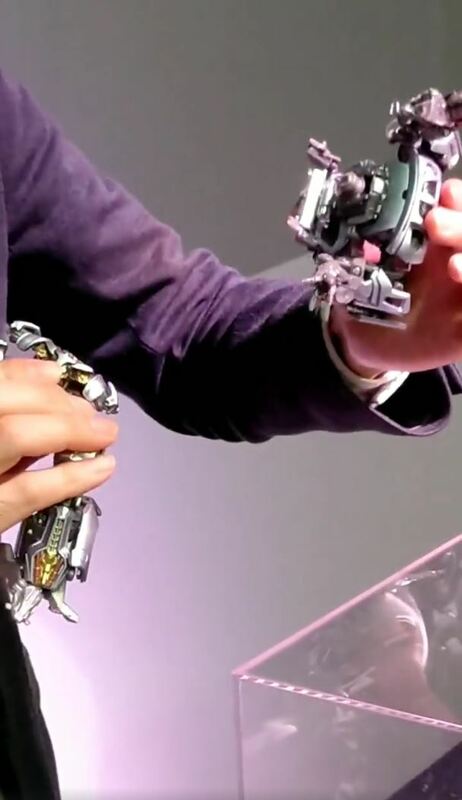 But yeah, it looks like there's not enough space for the thigh to rotate further. 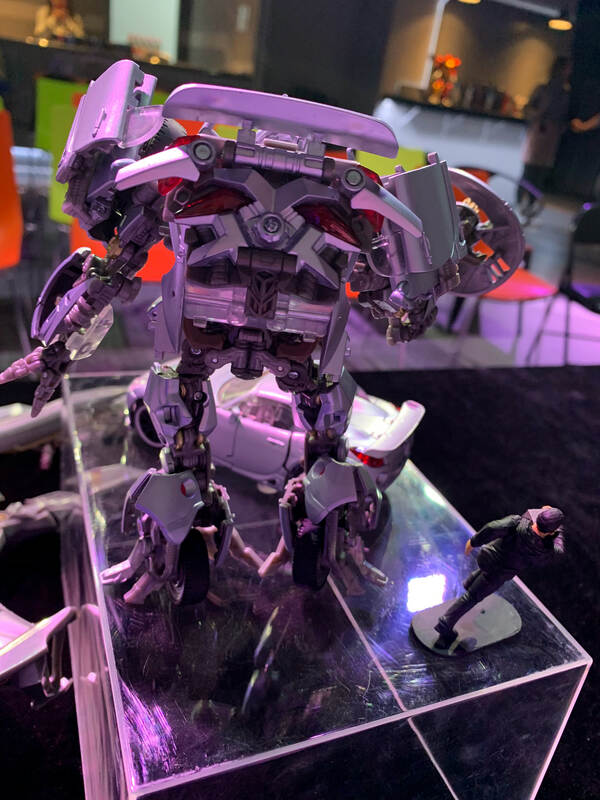 Emgo's copy can do a full 90.